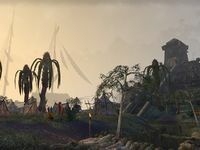 The vaults beneath the Sunscale xanmeers were built by a long-gone Argonian tribe in honor of Sithis, the "Dark Husband." They are said to contain tests for those who think to withstand the call of the abyss. Sunscale Strand is a ruin in southeastern Shadowfen, southeast of Alten Corimont. 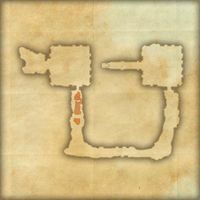 Sunscale Strand Objective: Uncover ancient Argonian secrets in Sunscale Strand.